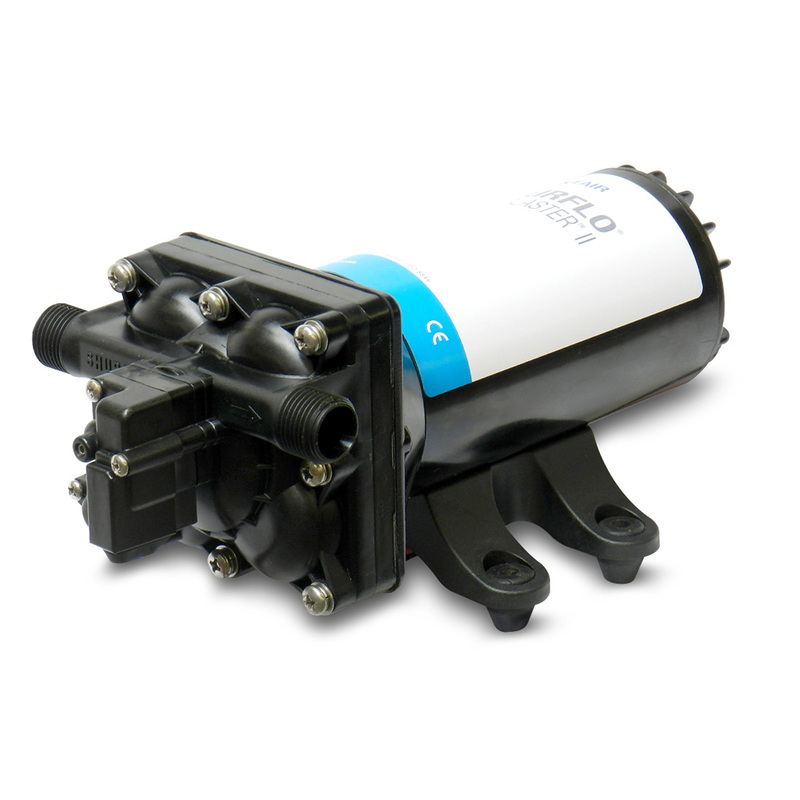 SHURFLO's PRO BLASTER II washdown pump delivers superior performance that customers have come to expect and rely upon. Whether it's blasting away the grimiest decks clean, fish box scaling and anchor chain cleaning, SHURFLO's PRO BLASTER II washdown pump delivers high performance that provides a powerful consistent spray pattern. Built to withstand the marine environment with electro-coated motor, O-ring seals, fully sealed wire entries and can run dry without damage. Inlet strainer, 1/2" hose barb fittings and nozzle included. Ignition protected. Thermally protected.